Atlanta-based band Drivin’ N’ Cryin’ recorded a Peter Buck-produced demo titled “Mountaintop” for their 1989 classic album Mystery Road, but the track was never released … until now. “Mountaintop” will be included on an expanded edition of Mystery Road due out on Oct. 6, and you can listen to the track right now, exclusively at Paste. 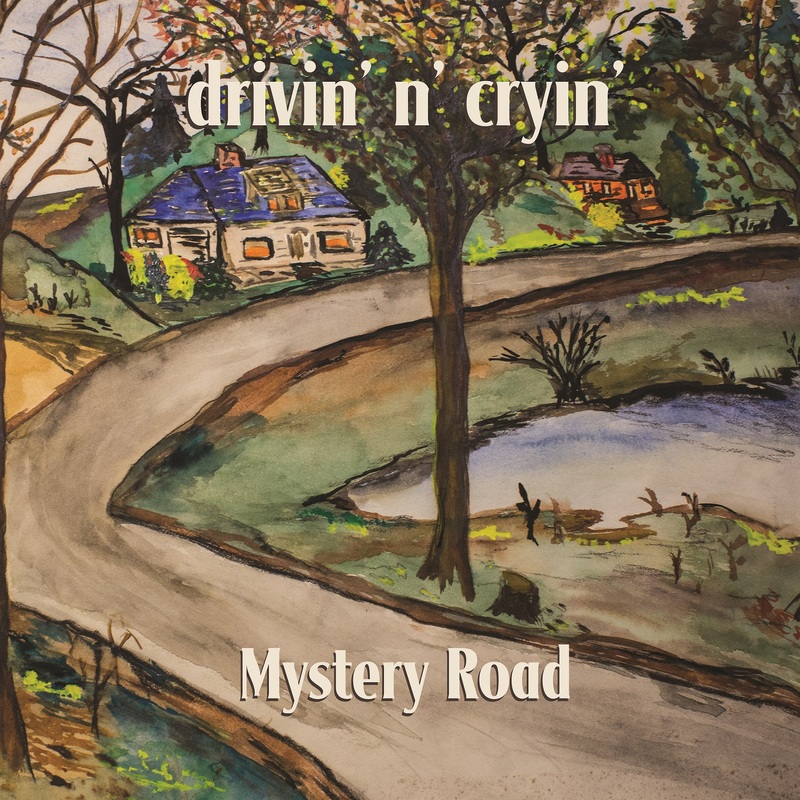 Drivin’ N’ Cryin’s forthcoming deluxe edition of Mystery Road includes both a remastering of the original record and nine previously unreleased Buck demos, many of which ended up on frontman Kevn Kinney’s debut solo album, MacDougal Blues, also produced by Buck. “Mountaintop” was actually a song I wrote when I first retired … at the ripe old age of 23! I was in the Milwaukee punk avant-garde scene and had sold off all my possessions, grabbed a girl and left town, never to return. First stop, Graceland … Memphis, Tennessee! We opened all of our shows with it for the first year or so. People would come out to the shows expecting to hear this way-out psychedelic punk band and we would walk out with an acoustic guitar, mandolin and a tambourine. It helped to define us as the band that was like your record collection, or a wedding for that matter. Something old, something new, something borrowed, something to blow your mind. You can preorder Mystery Road Expanded Edition in double LP, CD or digital formats here. Listen to “Mountaintop” and the band’s 2013 Daytrotter Session below, and see their tour dates further down, plus the Mystery Road Expanded Edition tracklist and album art. My very first song "acceleration"
And the original version of wrapped in sky, entitled: ”Rapt in sky"
Upon our return from our first trip to Amsterdam, we wrote a song called "Good Times Cafe"
It appears here for the first time!! Wake up and you'll be there"
Fly Me Courageous and Mystery Road, the two most popular albums by Atlanta's Drivin' N' Cryin', are 25 and 27 years old, respectively. Those two albums were fascinating because, played back-to-back, the only similarity between the two seems to be the high, wounded howl of singer/guitarist/songwriter Kevn Kinney. Mystery Road is like a map of late-'80s college radio, wandering from folky protest songs to crunch-heavy hard rock to warm, pseudo-country rock, with a little punk thrown in for good measure. Fly Me Courageous, on the other hand, is largely streamlined, bulldozing guitar rock with a few nods to acoustic balladry. What's interesting is how these two vastly different albums have defined the band's heyday among entirely different audiences. The alt-rock crowd favored Mystery Road (and its centerpiece misfit ballad "Straight To Hell") and rock radio loved Fly Me Courageous (thanks largely to the stunning title track and the chugging sing-along "Build A Fire"). They seem like an odd pair of albums for a band to record during a career, let alone back to back. But as it turns out, Kinney doesn't see them as that different from each other at all. "They were different sounding recordings is what they were," Kinney says. "If you listen to live recordings of all of that material, it all kind of sounds the same. But when you're on a major label, they kind of push you in one direction, they tell you what kind of producers they think you should use, and those albums were done by two different producers. One (Scott MacPherson) worked with Dwight Yoakam and one (Geoff Workman) produced Mötley Crüe. So they approached a lot of stuff differently." Since leaving the major label world in the mid-'90s, the band, anchored by Kinney and bassist Tim Nielsen, has mixed their influences more freely, following the Mystery Road template on albums like The Great American Bubble Factory, and breaking things down even further on a recent series of EPs. "Personally, I think the newer stuff we've done, like the EPs and Bubble Factory, really represent us pretty close to the way we sound now," Kinney says. "They represent all of the things I have to say. They're all commentary about how I feel about life, liberty, and the pursuit of rock 'n' roll. The EPs were our deconstruction of who Drivin' N' Cryin' is: the country circuit, the psychedelic circuit, the punk-rock circuit, and where we are today." The band has always been a surefire bet onstage, but after years of shifting lineups, they've spent the last year or so on the road with one of the most dynamic American guitarists of the last few decades, former Jason & the Scorchers six-string showman Warner Hodges. This is a man born to be onstage with a guitar in his hands; his solos are dazzling, he's a born performer (his round-the-neck guitar flip is a particularly flashy go-to), and he's an endless source of energy for the rest of the band. "He's been an inspiration to us," Kinney says. "We were really big fans of the Scorchers. He's a great cheerleader. He'll walk over to me halfway through a song and kick me and tell me he's having a great time or that this is a great song. He's a legend. He's a rock 'n' roll guitar player. In fact, he produced a country record for me a long time ago, and at one point during that, he kind of looked at me like he had an attitude or something. But then I figured out, 'Oh, he's kind of a take-no-prisoners guitar-shredder. He's got more in common with Richie Blackmore than Chet Atkins.'" And there's one more thing about Warner. "He doesn't drink," Kinney says. "It's been really nice for me to do shows on iced coffee instead of whiskey. It's hard to get coffee in a bar, though. Now I'm bringing coffee to the bar. That's the great part about playing somewhere like Holland, you walk in the bar and they say, 'Would you like a cappuccino?' How hard is it to have a Keurig laying around? I want to be the Johnny Appleseed of Keurigs and go around with one for every bar I play at." Beverage issues aside, the band still loves mixing things up onstage, to the extent that they don't actually have a set-list. "It depends on what day of the week you see us," Kinney says. "We really don't have a rehearsed concert show. Sometimes 'Straight To Hell' is acoustic, sometimes it's electric, sometimes it's a cappella — it changes as we go." Released August 15, 2000 on Hip-O Records. Released September 21, 1999 on Drivin N Cryin Records. Produced by Tim Nielsen. Hey Son, Where Are You Going? Released August 26, 1997 on Drivin N Cryin Records. Produced by Kosmo Vinyl. alito, California. Produced by John Portman. Released February 23, 1993 on Island Records, recorded at Triclops Sound Studios, Atlanta, Georgia. Produced by Geoff Workman and DNC. Released 1986 on 688 Records, recorded at Axis Sound, Atlanta, Georgia. Produced by George Pappas.